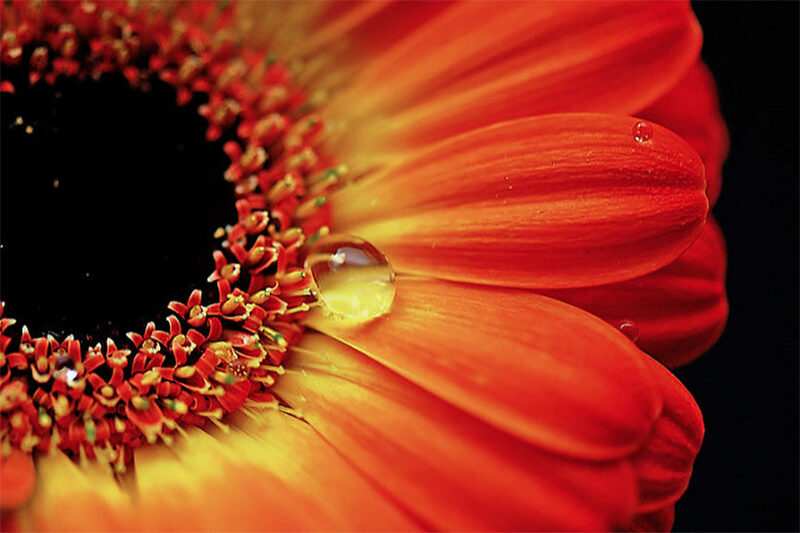 What is Macro Photography ? For those who are perhaps wondering: “what is macro photography ?”, the fact that it means taking extreme close-up pictures of very small objects or living organisms might come as a surprise. 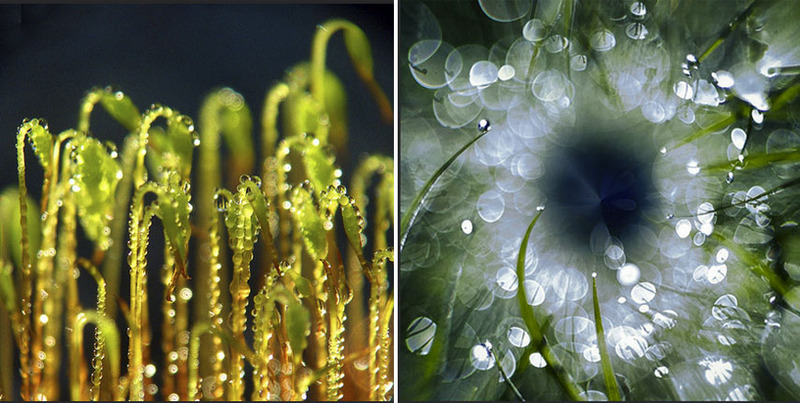 Although it is logical for this genre and technique to be called “micro photography”, the macro adjective prevailed and even got in the mix with “macrophotography”, which refers to the art of making very large photographs, for example. Furthermore, some argue that the most accurate term would be photomacrography, if we were to be completely pedantic. Still, macro photography is the one name that stuck, and today it is being used to describe one of the most popular genres within the image capture business. With the advent of the digital technology, it became accessible to anyone curious and persistent enough to experiment with it, without using much equipment too. 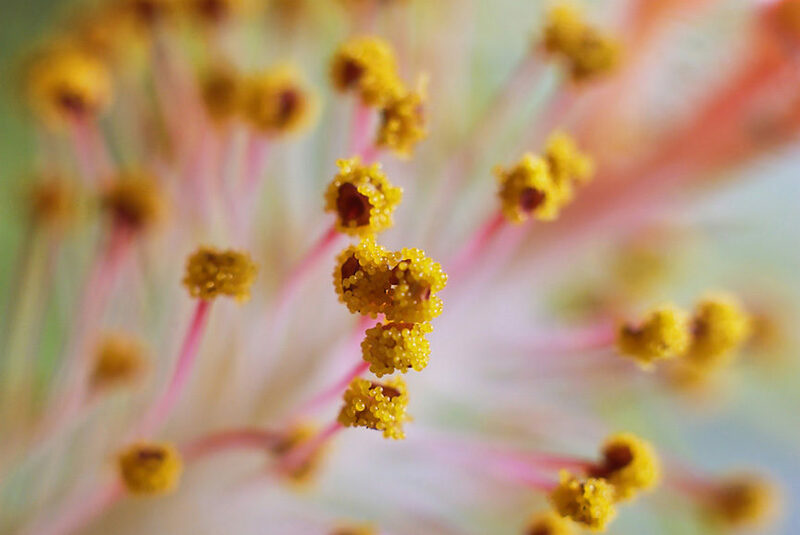 A great part of nature photography and even scientific research, macro photography provides a vast learning field for photographers and a chance for the viewers to discover the tiny world around us. 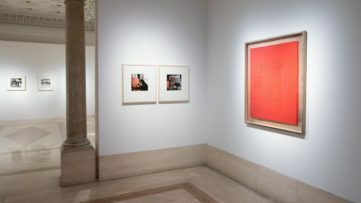 For both the author and the public, macro represents an absorbing activity, which has us delving into a whole universe that is not visible to the naked eye, capturing it and bringing it back on a larger scale for us to observe and be in awe of. Whether it’s small insects, mineral specimens or miniature plants, the macro method allows us to see even the tiniest detail and texture. This is what essentially differentiates it from close-up photography, which uses different kinds of lenses and techniques. 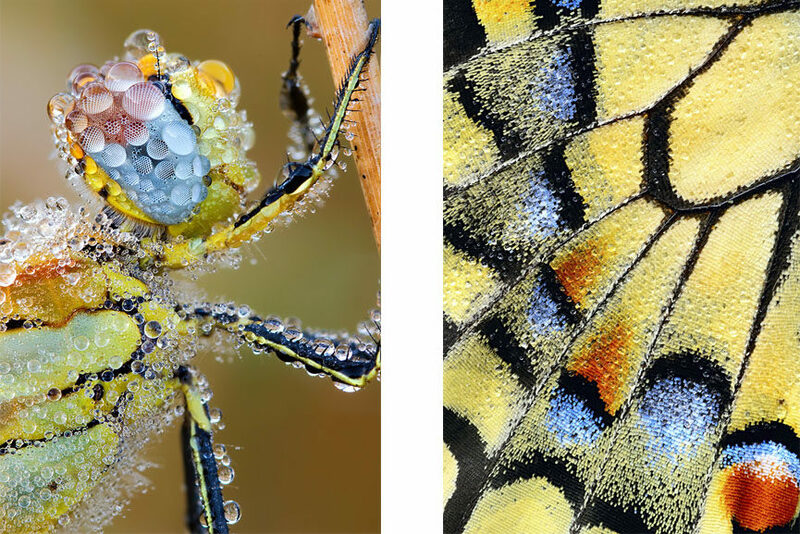 Through macro photography, we can see as much as the hairs on an insect’s face or the pattern in its eye, sometimes for the sake of biology, sometimes as documentation and sometimes fascinating, even abstract, forms of art. 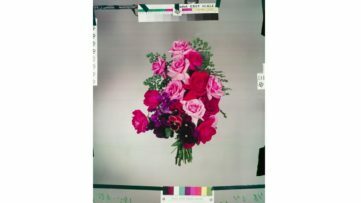 These shots can be taken inside the studio or outdoors, where photographers can spend hours in search for the perfect subject and shot. This genre is the perfect example of when the camera encourages us not just to capture what we see, but to also really look around us. To answer “what is macro photography”, it is perhaps best to explain the equipment, the technique, the lenses and the lighting used by those who are successful in this field. By some definitions, a macro photograph is one in which the size of the subject on the negative or image sensor is life size or greater, although most of the time we will end up looking at a large size image of a really small insect or flower, for example. This is why lenses for this particular photographic practice are so expensive: they allow the author to stay away from their subject and get a close-up, macro shot nevertheless. Today, there are many single-lens reflex cameras that can do the job just as well, as these allow you to attach special-purpose macro lenses. Apart from macro lenses, which appear as the obvious choice in this case, there is also the “normal” 50mm lens that could get the job done, for instance. Essentially, the lenses provide distance for the photographers, as they could be taking photos of insects or some dangerous animals that could be dangerous or even poisonous. An important to remember, however, is that macro zoom lenses are not macro lenses: they don’t allow significantly greater magnification than a 30mm or 50mm normal lens and they deliver low quality. And because magnification is an important technique, you can also get the “supplementary” or “close-up” lenses. What macro photographers really need, through, is the macro lens. The best ones are made by Canon and Nikon, and the curious thing is that Nikon calls them “micro” lenses, contributing to the aforementioned name confusion. 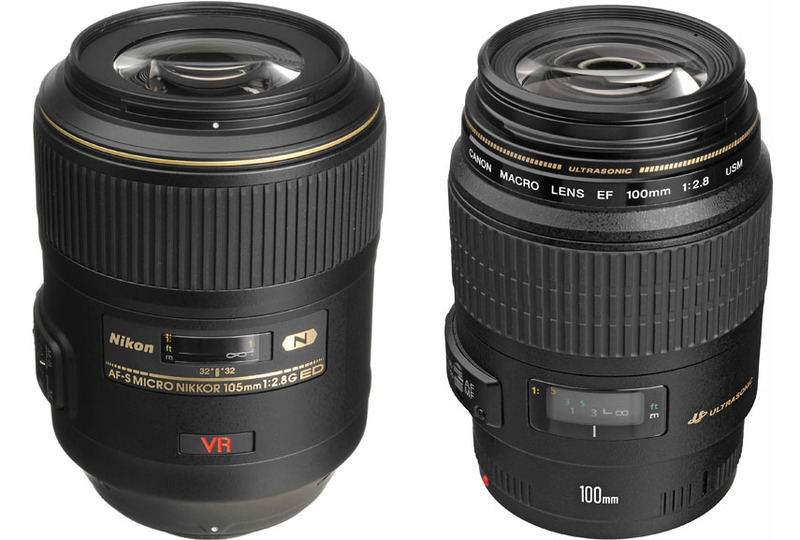 The focal lengths of macro lenses by both companies range from 20mm to 200mm and each of them will focus continuously from infinity to 1:1 scale. Depending on whether you can get close to your subject, you choose your focal length – if you want to remain far, you choose the 200mm one and so on. The 45-65mm one, for instance, is suitable for product photography, while the 90-105mm one is for insects, flowers and small objects from a comfortable distance. Another macro equipment option is the extension tubes, which extend the distance between the lens and the film or image sensor, and thus extending the magnification as well. Many point-and-shoot cameras today have macro modes that can capture pretty decent close-ups. On compact cameras, this setting is usually described with a flower icon, while on DSLRs, the macro capability is dependent on the lens, not the camera. The compact cameras, in fact, don’t give the user full flexibility when it comes to exposure and depth of field, as they mostly set these automatically and photographers need manual modes in order to choose the sharpness and blurriness of the image. DSLRs also offer higher resolutions, and here it’s better to choose a full-frame DSLR rather than crop-sensor, because they offer more, smaller pixels and thus more magnification. Another option could be mirrorless cameras, as many of them use adapters and pretty much any DSLR lens as well. Even with the very best camera and the high quality lens, there are certain parameters that photographers should not leave up to their equipment. Among these, we have exposure and subsequently depth of field, as well as lighting. The effective f-stops, or the aperture, directly affects the quality of the picture and determines the depth of field, another important consideration. 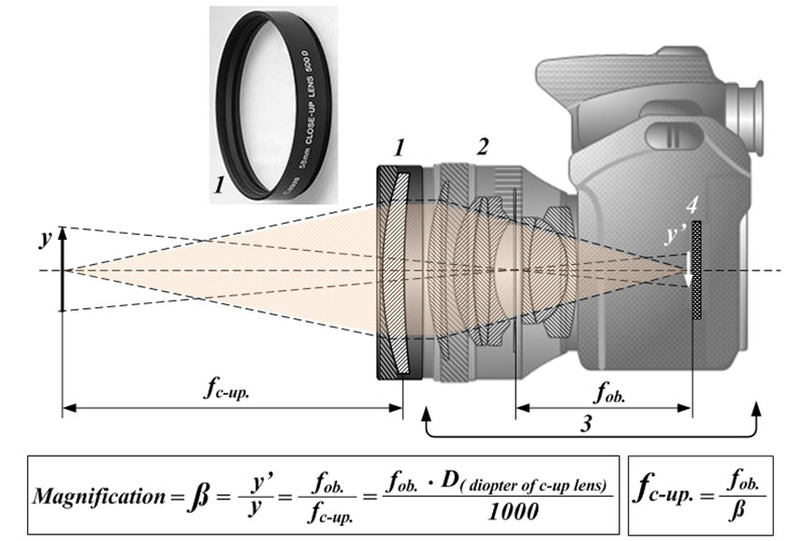 The depth is extremely small when focusing on close objects, meaning that a small aperture (high f-number) is often required to produce acceptable sharpness across a three-dimensional subject. There are lenses for a 35mm film camera stop at f/22 and don’t go to f/45 or f/64, while longer lenses provide smaller apertures: 210mm for f/64. This then means the photographer should use slow shutter speed, brilliant lighting (whether natural or ring-flash inside a studio) or a high ISO, depending on the working conditions. 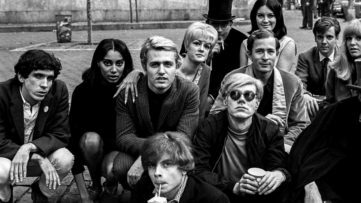 The absence of the depth of field drives the focus of the camera and that of the viewers once the image is done, to the most important part of the image, the subject, and its parts. Even the smallest variations in elements like the distance from the subject or aperture can affect the sharpness, resulting in noticeable blur. 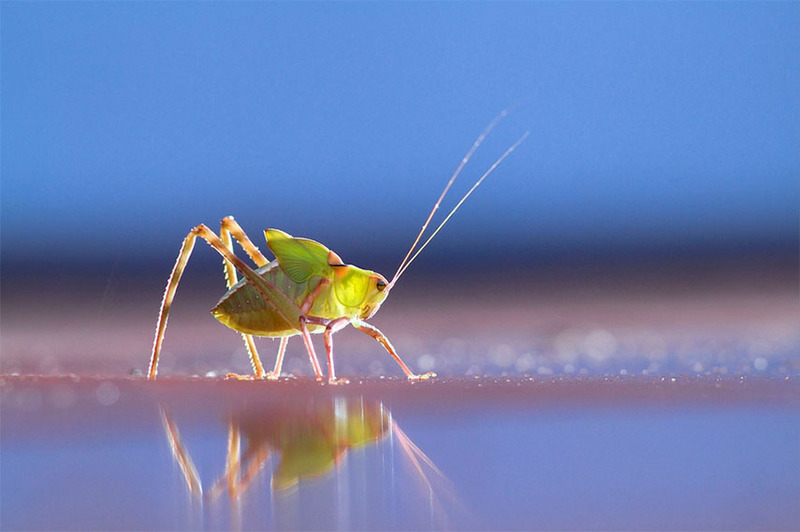 What is macro photography ? Apart from the equipment, an important part of it is the lighting. Because small subjects require the photographer to come extremely close to it in order to capture it, there is often not enough light passing between the camera and the subject. This is why telephoto lenses from 100 to 200mm allow for a greater physical distance and more light. Of course, the obvious solution would be the flash, but for sometimes impractical reasons, like the possibility of scaring of the subject, they cannot be used. The photographer then either relies on natural light or brings discreet continuous flashes or flash diffusers. The use of these is the most important and creative part of the endeavor, and any kind of photography in general. In the end, the answer to “What is macro photography ?” essentially lies in the process of magnification, as the concept has a lot to do with the size of the subject that is projected onto film or camera sensor. A two-centimetre subject will have the “life-size” projection of two centimetres on the sensor. This results in a 1:1 magnification, which is the most satisfying one because the sensor in a typical DSLR is no bigger than that. If an object is projected at half the life-size (its 2cm take up 1cm of sensor size), it is a 1:2 magnification and so on. 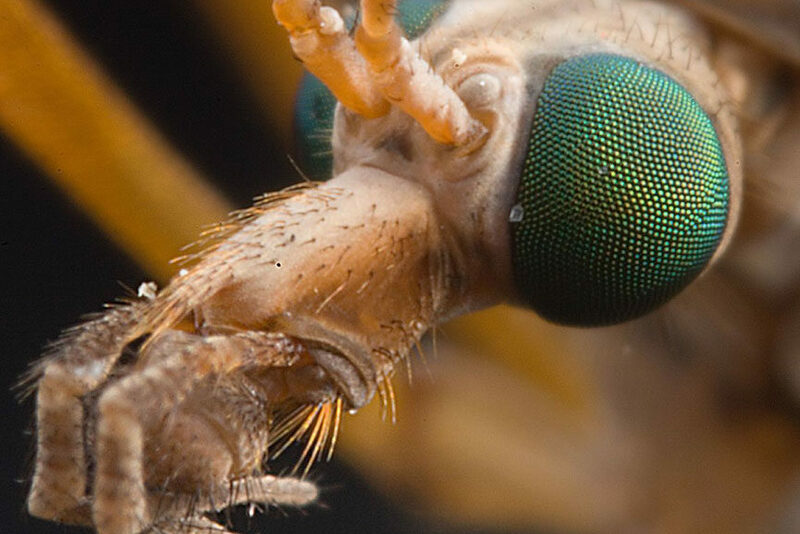 Macro photography could be considered to encompass up to 1:10 magnification. Once this concept is understood, the terminology will be no issue for someone who would like to start experimenting, with any camera they have with them. 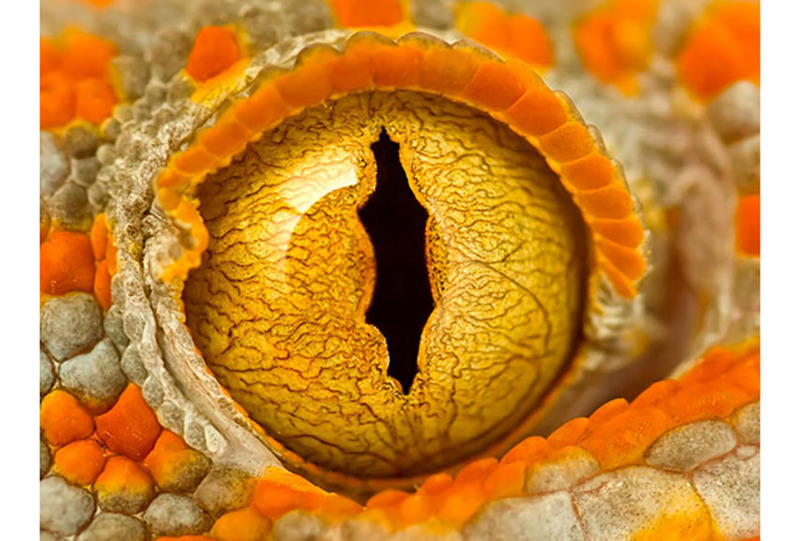 This is why macro photography is one of the most accessible and popular genres in all of image capturing business. After the big-range zoom, a macro lens is typically one of the next purchases considered by serious macro outdoor photographers and amateur photographers looking for close-up capability in all zoom lenses. Yet hobbyist photographers struggle. Many macro shots just don’t make it–not sharp, confusing backgrounds, muddled compositions, misplaced sharpness, and distracting light. Even more advanced photographers find challenges working with depth of field, dealing with light, and using different focal lengths up close. You need a book that goes beyond the camera manuals to teach you how to select and use various macro lenses to take great macro shots. This guide by pro macro photographer Rob Sheppard will help you conquer the fundamentals and capture stunning macro pictures. Beautifully illustrated with large, compelling macro photos, this book teaches you how to take control of your photography to get the image you want every time you pick up the camera. 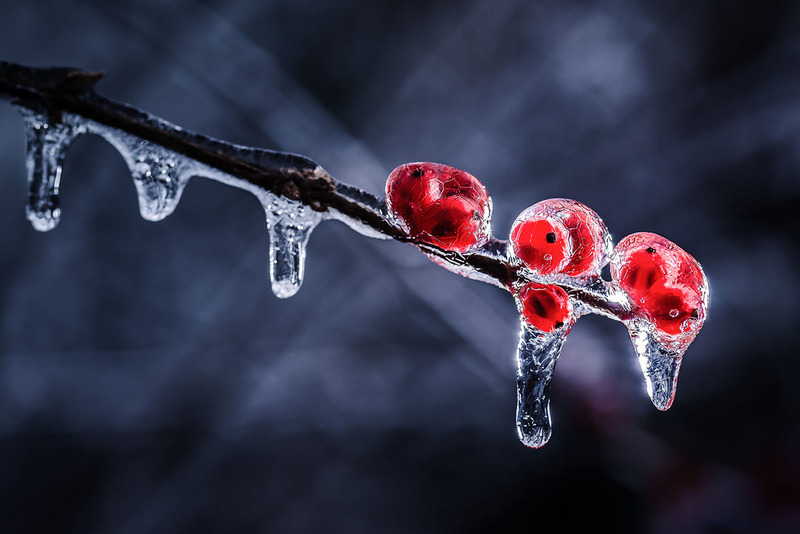 Featured images in slider: Nine Berries. Image via photographylife.com; Wendell – Golden Tips. 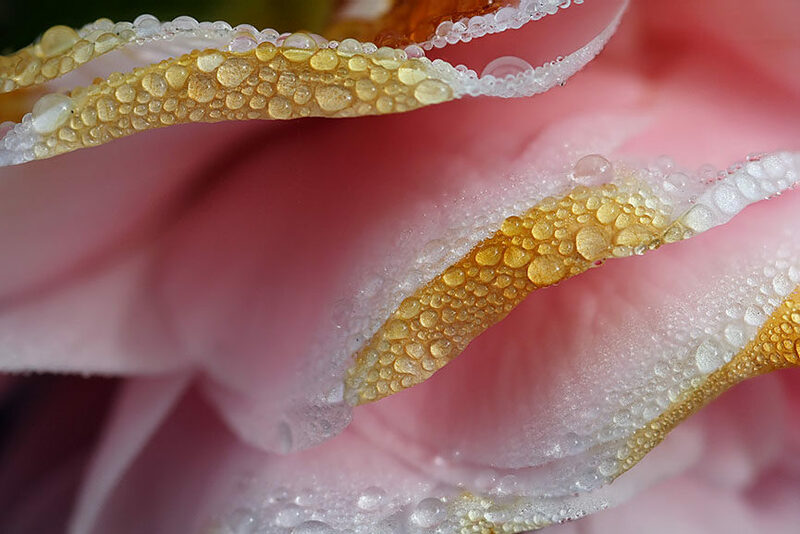 Image via flickr; Brian Valentine – Dew on camelia #1. 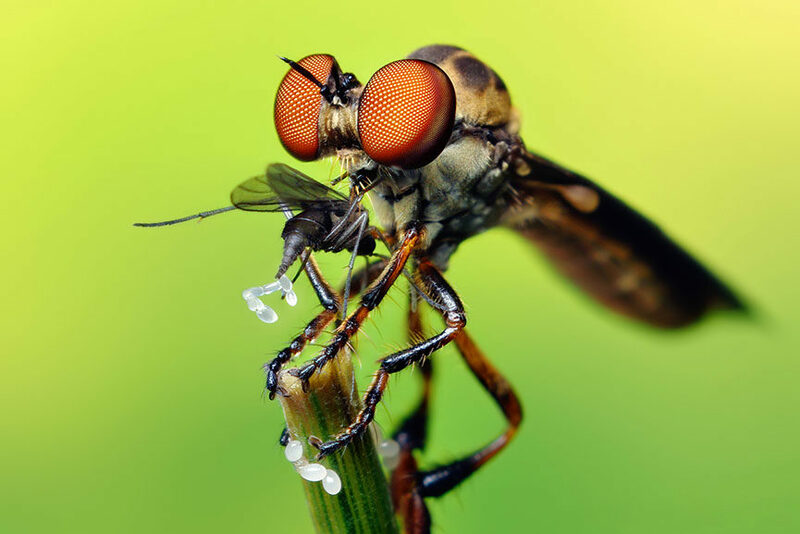 Image via flickr; Thomas Shahan – Robber Fly with Prey (Holcocephala fusca). Image via flickr; Robert Seber – Cranefly. Image via flickr; Martin Amm – Untitled. Images via photo.net. All images used for illustrative purposes only.